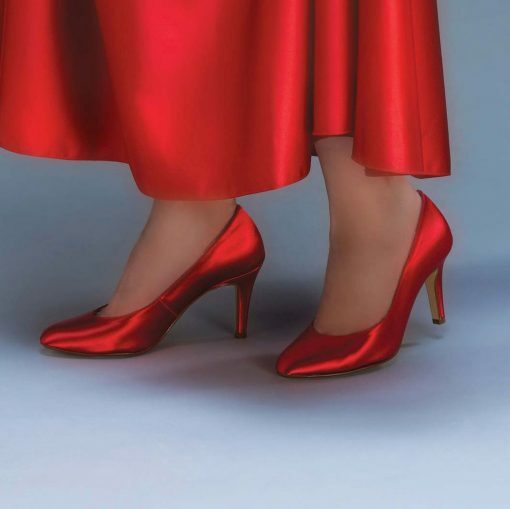 Touch Ups Sandra white is a 2 3/4″ mid heel, dyeable pump. This closed toe pump is great for all seasons. 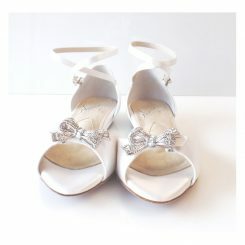 Sandra white is available in size 5 – 11,12 medium. Touch Ups Sandra white is a dyeable pump. 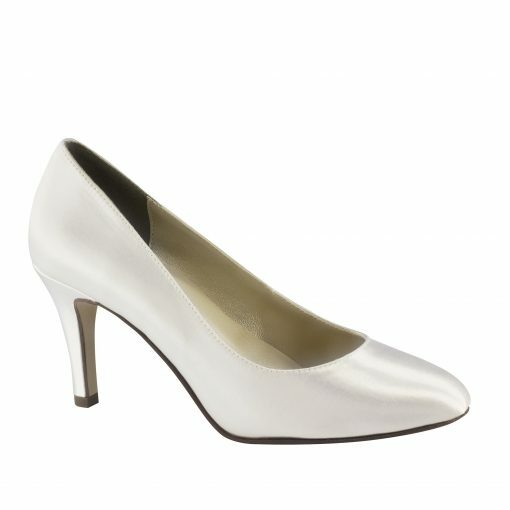 This shoe is the classic pump style with a moderate heel height. The Sandra can be dyed to match any color swatch you want to send us! 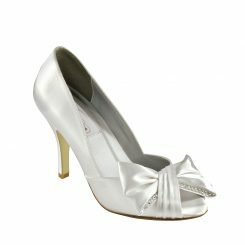 Great for bridal parties, mothers of or guest, it is the perfect shoe. 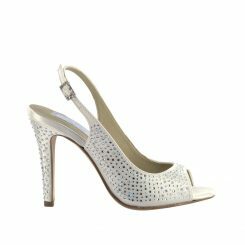 The heel height is not too high but also not too low, perfect for dancing the night away. The Sandra is a comfortable shoe that runs true to size. 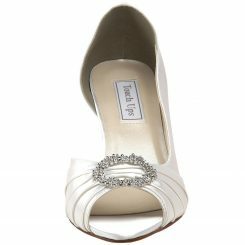 This high heel shoe is stable to walk and dance in, white at the same time giving you the height you want. The closed toe shoe is great for all seasons.